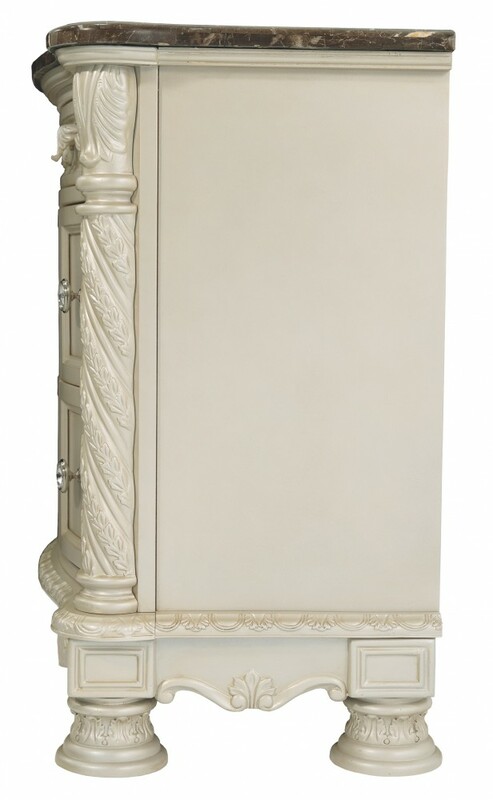 The pinnacle of opulent design. 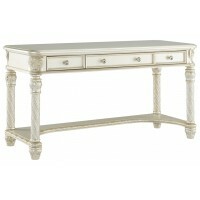 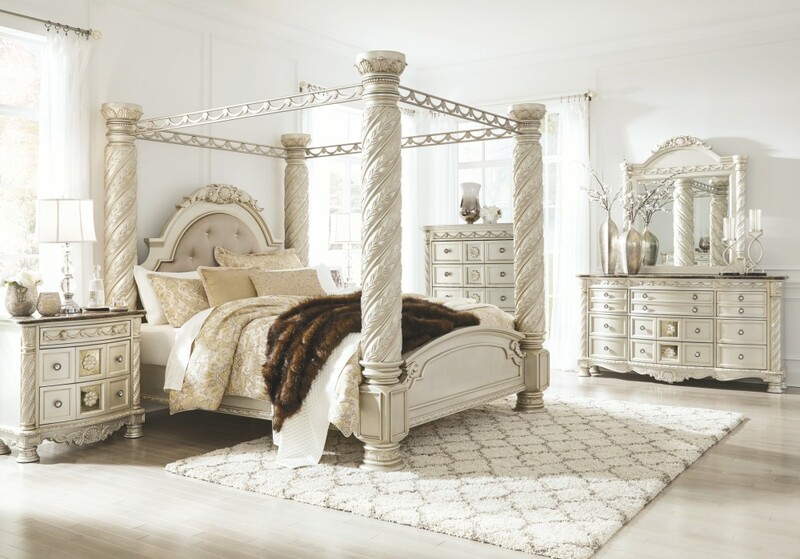 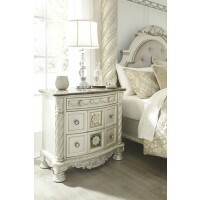 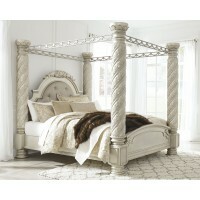 This nightstand puts Hollywood glitz over the top. 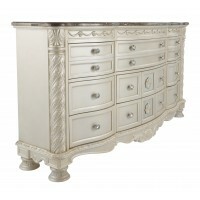 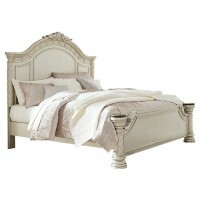 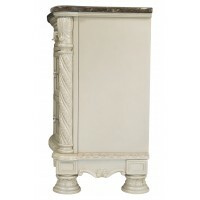 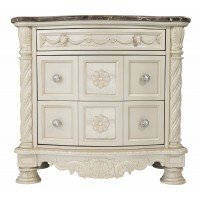 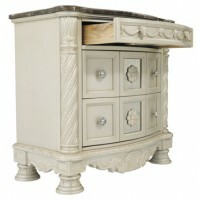 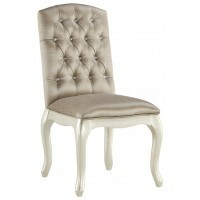 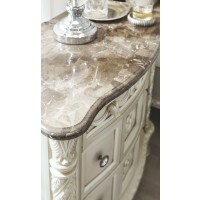 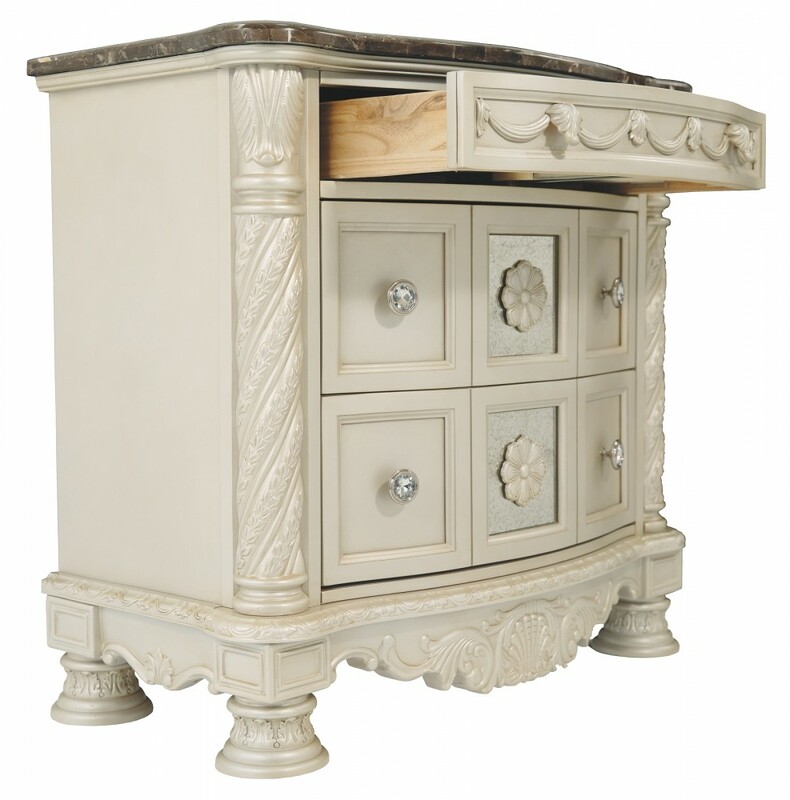 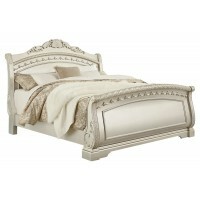 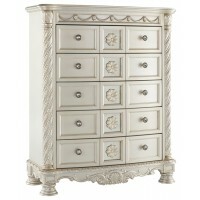 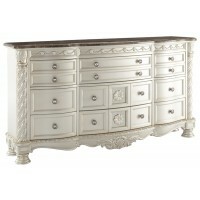 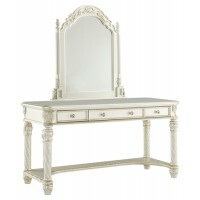 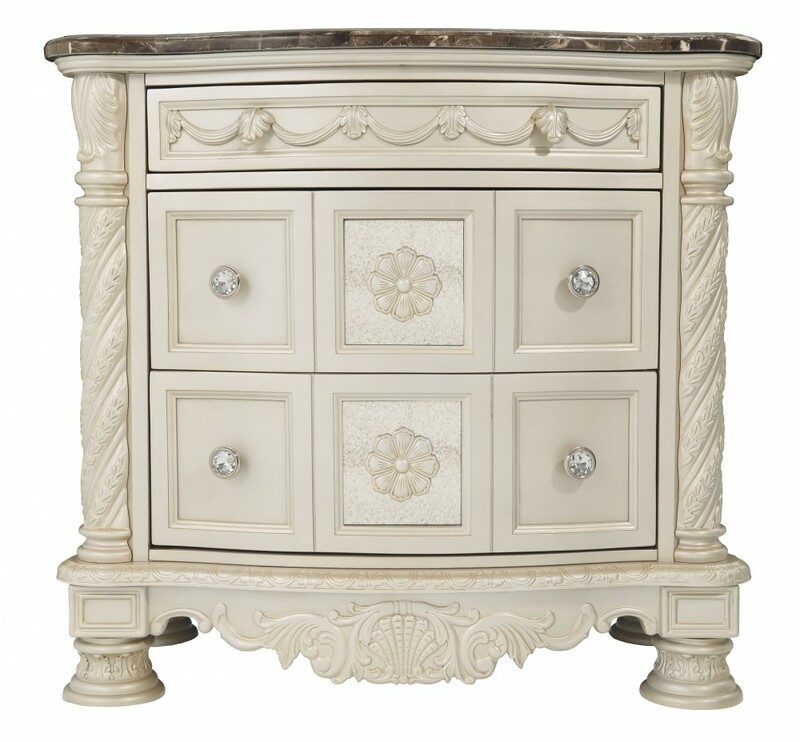 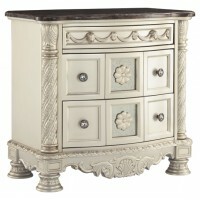 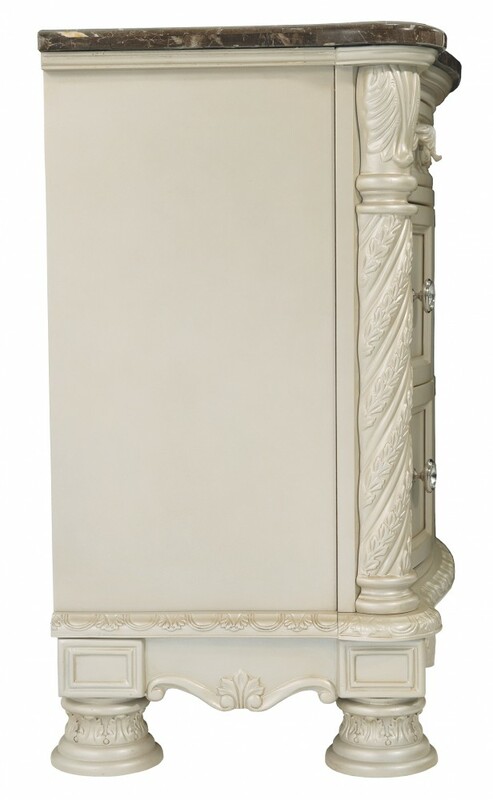 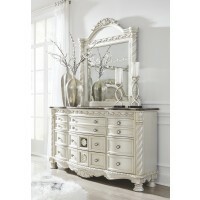 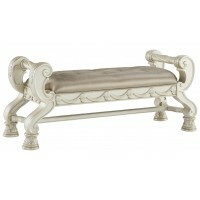 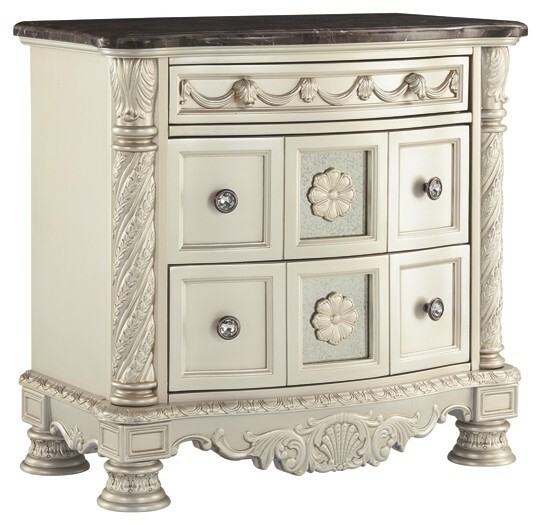 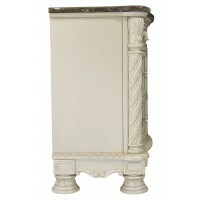 Bathed in a glazed silvertone finish, it’s decorated with elaborate details. 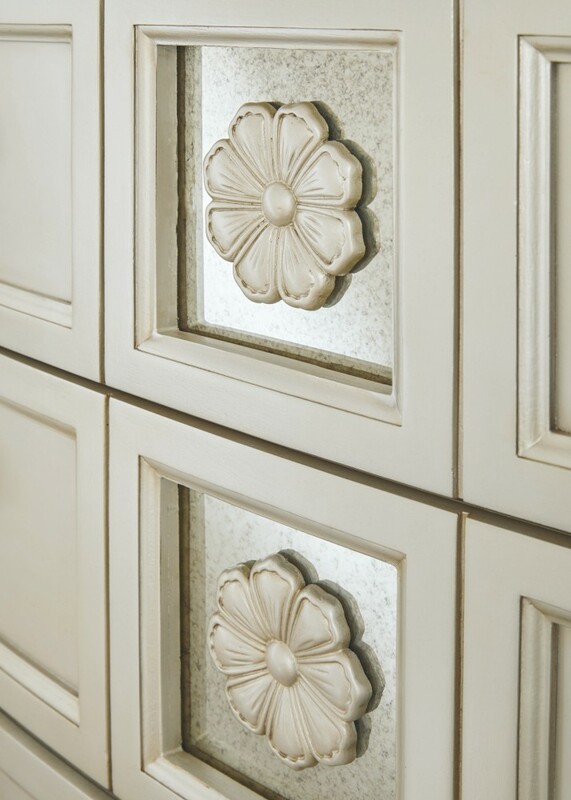 Faux crystal hardware adds the hint of sparkle that every glamour aficionado loves. 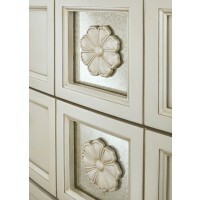 Flower appliques sit against antique mirror insets in the center. 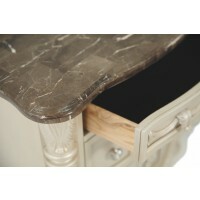 Felt-lined top drawer creates a luxurious resting spot for your valuables. 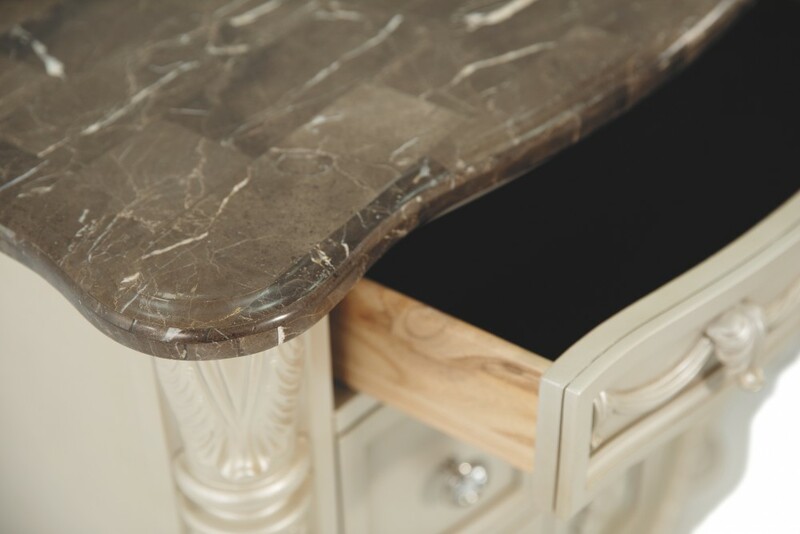 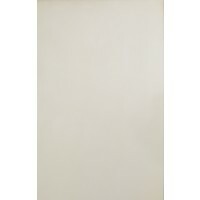 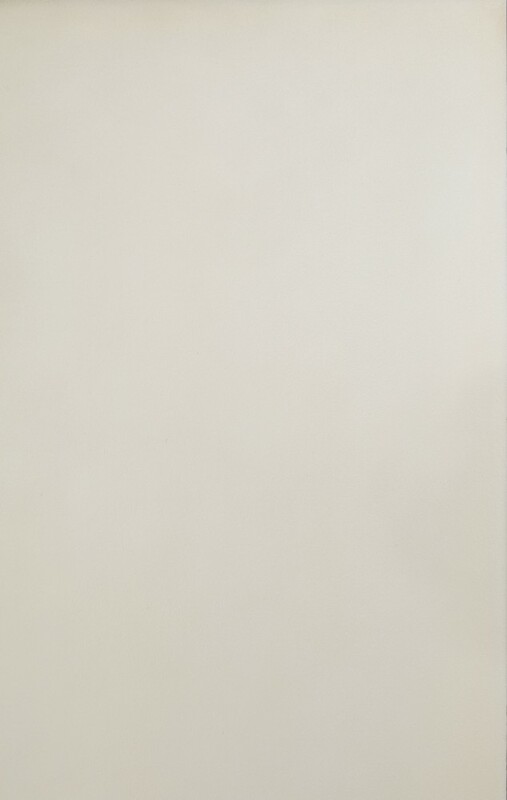 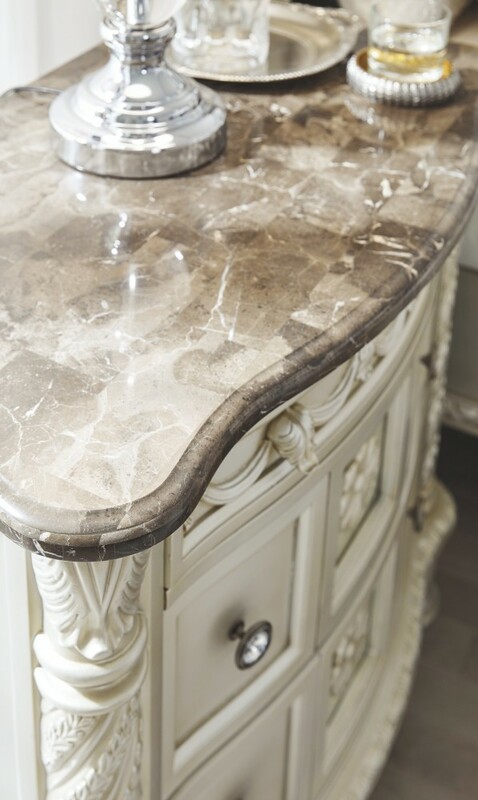 Top it all off with a natural marble top. 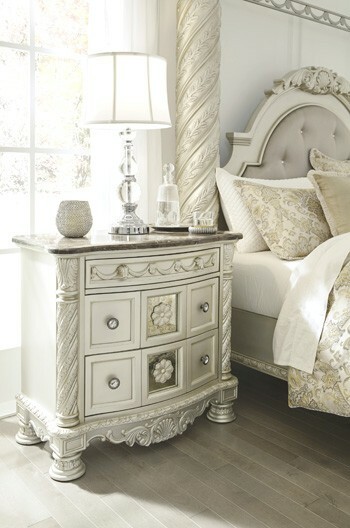 Each inch of this nightstand is exquisite.